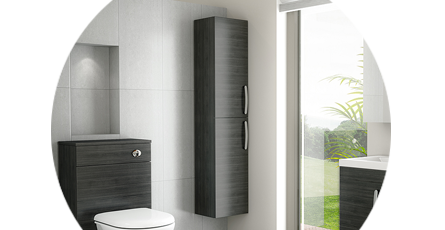 Discover our massive range of bathroom cabinets and storage. Choose from drawers, wall hung cabinets, freestanding units and more to create the perfect bathroom. It's easy to give your bathroom a coordinated, designer look as our selection of cabinets and storage include items which have been carefully crafted to complement each other. Whether you're looking for tallboy units, mirrored cabinets or bathroom units with drawers we have the very best bathroom cabinets for any budget.We supply stunning storage solutions from brands such as Bauhaus, Hudson Reed and Miller to guarantee great quality. Good complement to Vanity Unit. Again delivered by a well mannered man. Sitting next to my vanity unit looking good. Very pleased with the results. I would recommend Victorian plumbing to my friends and family!